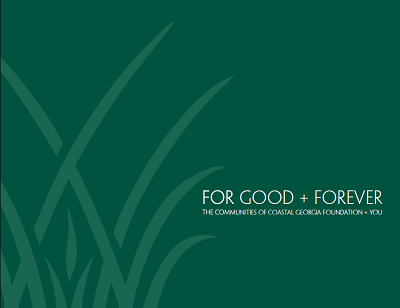 The Communities of Coastal Georgia Foundation (CCGF) was incorporated in 2005, as a tax-exempt public charity created by and for the people of Glynn, McIntosh and Camden counties. The Foundation now has assets over $19 million and hosts some 70+ distinct funds. Since its inception, the Foundation has awarded close to $12 million in grants to community organizations in the three county region and beyond. The Foundation joins over 750 other U.S. community foundations as one of the fastest growing sectors of American philanthropy today. Governed by a twenty (20) member local Board of Directors, the Foundation has earned recognition from the National Standards for U.S. Community Foundations, awarded by the Council on Foundations to community foundations that meet the highest philanthropic standards for operational quality, integrity and accountability. Recognized as a Guidestar Gold participant, CCGF is a member of the Southeastern Council on Foundations and the national Council of Foundations. The Foundation serves ordinary citizens who have the extraordinary vision to promote a better life for their neighbors, friends, families, and fellow coastal Georgians - today and for future generations. The Community Foundation seeks to be the region’s trusted source for thoughtful philanthropic counsel, sound financial management and strategic community investment. Click on our brochure to learn more about the Foundation. We hope you will join us in making a difference through philanthropy!